Ever have wondered if you should switch to an electric toothbrush? Or maybe you wish to know why you should keep using one? In today’s article, we shall go through the perks and downfalls of this technological gadget. In order to keep your mouth healthy, Los Algodones dentists wish to remind you that keeping good oral habits is essential. Why an electric toothbrush over a normal one? The differences between them is probably as apparent as they seem! For one, it has its rotatory power. 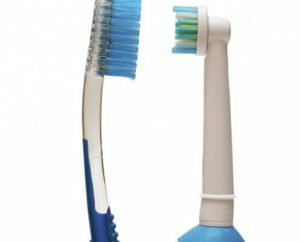 With your usual toothbrush, you would be able to pull off about 300 strokes a minutes. This is not the case with an electric toothbrush as it would go well over the thousands! Moreover, with the electric toothbrush it is easier to cover bigger and more difficult areas. It takes careful brushing with a normal brush, when it is just a matter of position for its electric counterpart. That way whatever it is, teeth, gums, or tongue will all be brushed rigorously. Given how easy it is to use and handle, it is a good choice for many. This includes kids, people with physical impairments such as arthritis and even lazy people! Also it is worth mentioning that it can ease up brushing for those wearing braces! As it is normal to miss spots or just not reach well enough how we intend to with our brushes, an electric one can definitely get to brush even more of the tooth. They are better at cleaning thoroughly. Let it be food particles or buildup plaque, they will be no match for an electric brush. It simplifies the task of brushing. Even more so in the mornings! Depending on the model, different head brushes available to use and can bring neat gadgets. Works for a many people that find normal brushes troublesome. Kids since it is more fun and engaging, people with braces that have a hard time reaching all of the spots they need to, people with physical impairments that do not let them use a toothbrush, and lastly, people who do not get to remove all the plaque from their teeth. They can be quite costly. Acquiring a brand new one can be around $100 or more in most stores. Their brush heads need replacements from time to time. Just like normal toothbrushes, the heads can get worn-out through time and use. They make you feel like you are doing a proper brushing session when you might not. They might require batteries in order to function, which is an added cost. Can be troublesome to carry around as they are usually bigger. 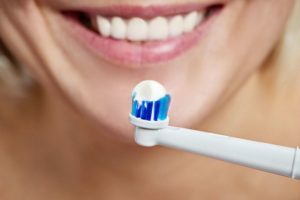 What types of electric toothbrush are there? These are the most in the market. The center piece makes the brush head rotate quickly achieving between 3,000 to 7,500 strokes in a minutes. These instead of making a piece rotate, makes the bristles move side by side at an even higher speed than the rotary brush. These work similar to the sonic brush head, but it also uses a sound wave effect which is great at further removing plaque. These electric toothbrushes do not move at all. Rather, it uses small electric currents to attract the plaque. They are all great, but as Los Algodones dentists say, it is not much about the toothbrush, but about how you use it. No Replies to "Electric Toothbrush: What About Them?"